In this next lesson, we are still under the subject “general theory of the good.” We are finished with the “nature of the goods” and discussed about real and imaginary goods. We now proceed to the “causal connection between goods.” We hope to clarify under this lesson the second prerequisite for a thing to be called as “real good” mentioned in the previous lesson. In the discussion on “causal connection between goods,” you will constantly encounter two key ideas: different orders of goods and direct and indirect way to satisfy a human need. The subject of causal connection between goods therefore concerns itself about the different orders of goods and the proximity of distance in satisfying a human need. 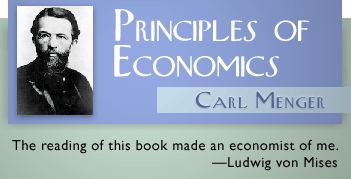 For Carl Menger, proper understanding of these orders provides the key to grasp this difficult and important subject of economic science (p. 58). Let us first define what we mean by “different orders of goods”? To designate the order of a particular good is to indicate only that this good, in some particular employment, has a closer or more distant causal relationship with the satisfaction of a human need (p. 58). Now, for specific examples, Menger names bread, clothes, beverages, jewelry, etc. among the first order of goods (p.56). The proximity of distance of these goods to satisfy human needs is direct. 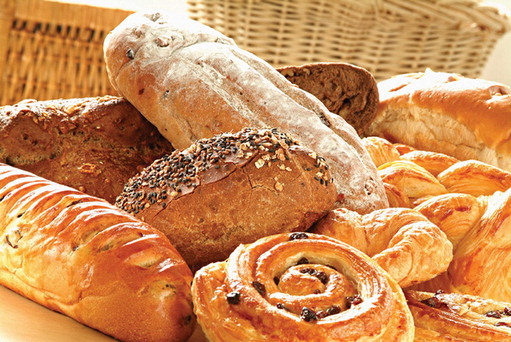 Examples of second order of goods are “quantities of flour, fuel, and salt…implements and tools for the production of bread, and the skilled labor services… (pp. 56-57).” Examples of third order of goods are “the grain mills, wheat, rye, and labor services applied to the production of flour, etc., (p. 57).” And finally, examples of fourth order of goods are “the fields, the instruments and appliances necessary for their cultivation, and the specific labor services of farmers… (p. 57).” The proximity of distance of other orders of goods are farther in terms of satisfying human needs, and that is, indirect, but they nevertheless meet the second prerequisite for things to be qualified as real goods. First, Menger claims that discovering causal connections and the laws surrounding it is the key to “true and lasting progress” (p.56) of economic science and other sciences. We should see that the objects of scientific investigations are interrelated. If we rightly understand Menger that the law of causal connection is applicable not only to the science of economics, but also to other sciences as well, then we hope to see parallel development of ideas in other fields of sciences like biology, sociology, politics, and theology. If for instance, in sociology, the highest ideals are justice and peace, then it is better to explore the causal connection between various social dynamics. Moreover, identifying different orders of society and the proximity of distance of each order to achieve the ideal goal opens vistas for new discovery. Second, the proximity of distance of different orders of goods in satisfying human needs does not affect the status of things as real goods. The important thing is the existence of causal connection and not the directness or indirectness in satisfying human needs. Since the proximity of distance of goods to satisfy human needs does not depend on the inherent properties of goods, the idea of inferiority and superiority of goods is removed. Again, applying this concept to social science offers a concept of social justice and peace where every order in society is properly valued. This is another promising field of study.